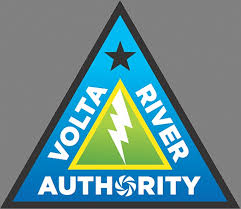 Government has commenced the process to sell thermal plants belonging to the Volta River Authority (VRA) to Independent Power Producers (IPP). The move, according to a Deputy Finance Minister Kwaku Kwarteng, is part of measures to restructure the country’s energy sector for effective performance. President Akufo-Addo in February this year during his maiden State of the Nation Address revealed that the country’s energy sector was heavily indebted, threatening reliable power supply. According to him, efforts by former President John Mahama to solve the energy crisis that bedeviled the country led to a debt of over $2 billion. “We have inherited a heavily indebted energy sector, with the net debt reaching US$2.4 billion as at December 2016,” the president said. As a result, he said the government intends to list VRA and the Ghana Grid Company Limited (GRIDCO) on the Stock Exchange, explaining that the move was part of a national electricity master plan being developed to solve the country’s debilitating power crisis. Speaking on Morning Starr Monday, April 24, 2017, Mr. Kwarteng said the VRA, owing to government’s decision, would focus on hydro generation. VRA currently owes Ghana Gas Company over $350 million. WAPCO has often cut gas supply to the energy generator as a result of its indebtedness to the company.